President Stroble and Provost Schuster wish to share this news of transitions in the Office of Diversity, Inclusion & Community Engagement with members of the Webster University community. 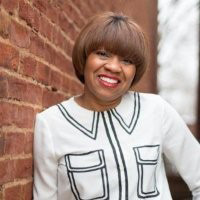 Nicole Roach, Associate Vice President for Diversity and Inclusion and Senior Director for community engagement, has announced her intention to leave Webster University in May 2018 to enable her to pursue two long-term career goals: completing a doctoral program and developing a new nonprofit organization. 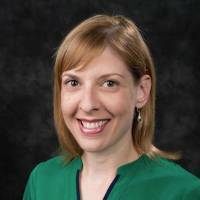 As Roach transitions out of her role at Webster University, community engagement initiatives will be led by Jennifer Starkey, who has been appointed as Director of Community Engagement. During her time at Webster, Roach established the Office of Diversity, Inclusion and Community Engagement. In this role, she has led institution-wide initiatives having direct influence on policies, procedures, partnerships and resources. She successfully organized two Diversity & Inclusion: Critical Conversations conferences and built important bridges within the Webster University community and with community partners. Nicole Roach is a Global Leadership Academy Fellow. She has served Webster University in many roles. She holds 15 years of progressive leadership in higher education, having worked in: the business office, academic affairs and corporate cohort partnerships. Her tenure also includes director of Webster University’s downtown St. Louis campus. During her time, she was appointed to the Missouri Community Service Commission by Gov. Jay Nixon. “I have valued my time at Webster University and take great pride in the work this community has done in making diversity and inclusion a priority,” said Roach. “I am truly fortunate to have been a part of the University in many capacities." A nationwide search for new leadership for the Office of Diversity and Inclusion will begin this year. “As we begin our search for new leadership for our Office of Diversity & Inclusion, it has presented an opportunity to take a closer look at our community engagement projects,” said Dr. Stroble. “Relating to our local and global communities is very much an aspect of public relations and we feel that Jennifer is uniquely qualified to lead this area for Webster University. In this role, Starkey will collaborate with the City of Webster Groves for various community initiatives and will work to develop, promote and leverage other community partnerships throughout Webster University’s global network. Starkey, a Global Leadership Academy Fellow, previously served as associate director of Public Relations. She has worked at Webster University since 2013 where she has assisted in the public relations planning and implementation of a number of Webster events including the Centennial celebration and the grand opening of the Arcade Building. She has worked on the social media planning and coordination of Webster University’s main accounts. Starkey has been a member of the crisis communications team and recently created an online media experts guide of University spokespeople. In 2015, she was inducted into the Webster University Student Life Hall of Fame for the student leadership work she accomplished as an undergraduate student at the University. She has a BA in Broadcast Journalism and an MA in Communications Management, both from Webster University.